Fahringers Framing can produce eye-catching prints of your photos and art with an Canon 44 inch wide large format printer using archival pigment inks. While no process will give you an exact reproduction of your original, this process produces the highest quality art reproduction (also known as a giclee, pronounced: zhee-clay) giving you a more accurate re-creation of your original than off-set printing ever could. We have the ability to produce your prints either from a file on a CD or from a negative or slide. 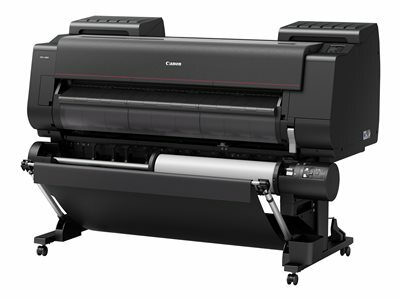 We provide digital image capture by scanning your original art on an Epson 10000XL high end, professional flat bed scanning system. Printing is available on a variety of fine art papers. Quantity prices are available. Fahringers Framing is able to restore old photographs and documents and then produce a good copy for display. This allows the original to be kept in the back of the framing package to keep it safe from further degradation. At Fahringers Framing you are limited only by your imagination when it comes to creating framed mirrors for your decor. With over 1200 choices, Fahringers can give you the right look to accent any room in your house. We carry a small quantity of antique prints and maps in the store and we are able to search for whatever you are looking for. We are also able to purchase and download old maps from the Library of Congress and then print them on our 44” wide Canon printer. 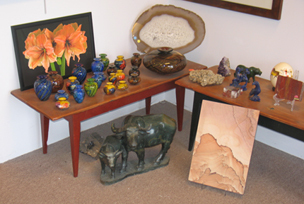 In the store, we have a variety of mineral carvings, crystals and fossils... even an occasional meteorite! Items include petrified wood pieces and slabs, agate slices, an extra large smokey quartz crystal cluster, mineral carvings in malachite, opalized serpentine, snowflake obsidian, fluorite, Inuit soapstone, chrysanthemum stone and more. I’m always looking for interesting pieces so keep checking back for new postings.